Zahara de los Atunes is known for its beauty and elegance, water sports, its beaches, its natural parks, its food and many more wonders. Let’s focus on this article in one of its gastronomic treasures: the Red Tuna, which has achieved so much fame to the point of holding an event dedicated to this exquisite: “The Tuna Route”. To understand the importance of this valuable species, it is obligatory to talk about La Almadraba. Like more than three thousand years ago, the fishermen of Cadiz fish the wild tuna in the spring, when the bluefin tuna crosses through the Strait of Gibraltar to the Mediterranean sea and they capture it in that labyrinth that are the traps, a traditional fishing gear and Also spectacular that goes back to the Phoenicians. Throughout the centuries, the way of extracting this “red treasure” has evolved in a very subtle way. With the emergence of the demanding Japanese market and strict quality requirements in the crude oil market, the methods have been perfected to unimaginable limits. To this day, La Almadraba is still a fixed and selective fishing gear that depends on different factors each season difficult to control, the migratory routes of the Red Tuna, the presence of killer whales, the lunar phases, the tides, the currents of the Strait Of Gibraltar or the salinity, clarity and temperature of its waters. The result of this perfection is an incredible visual spectacle in which this complex and fragile fishing art of traditional trimilenaria and craftsmanship has been able to adapt to the market demands obtaining the maximum level of quality for which the best tuna is considered gastronomically. world. Tarifa, Barbate, Conil de la Frontera and Zara de los Atunes celebrate with fairs and festivals the arrival of wild tuna, the richest, the most versatile, the tastiest. The vane-shaped tuna sculptures in each of these fishing villages give an idea of ​​the importance of tuna for them. A tribute to the tuna and its gastronomic, historical and cultural connection with the Costa de Cadiz. After the cutting of a tuna that is called snoring in the jargon – with the imagination of the cooks, dishes and tastes emerge as different as those that can be tasted in the different “Tuna Routes” that are celebrated once a year in the Locations mentioned above. This year would be from May 16 to May 21 when the V Tuna Route is held in Zahara de los Atunes, a bet of the city that offers all its neighbors and visitors its rich gastronomic culture, which has in the tuna one of Its maximum exponents. There are many activities that can be carried out where the Villa Amaranta house is located, a luxury house to spend the vacation you want in Zahara de los Atunes. From this blog we want to inform you about all the activities and possible visits you can make from the villa Villa Villa Amaranta. Zahara de los Atunes offers an infinite number of possibilities, sports practices that put us in contact with nature, in a unique environment. Activities with the sea or the mountain, with history or with gastronomy. Trekking in the different Natural Parks surround us, a fantastic way to see the fauna and flora of the area, as well as to find remains of ancient civilizations that are still preserved. Horseback riding, both on the beach and other areas of maximum beauty, are another great alternative. The Equestrian center The jibbah offers you this interesting experience. 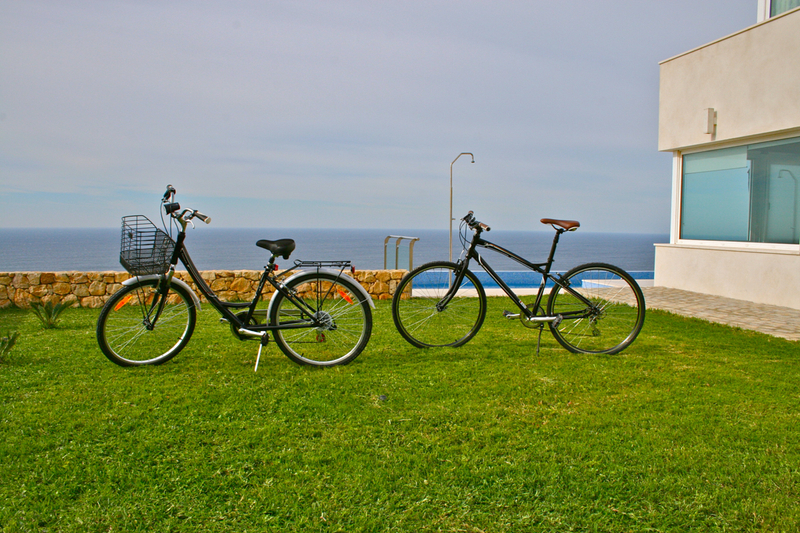 Cycling in the town of Zahara de los Atunes may be another alternative, the city is prepared with trails that allows this sport. Activities related to the sea are preferred by visitors. There are diving schools given the number of places and marine routes in the area. Schools of windsurfing, kite surfing as well as places to rent the necessary materials to practice these sports. The privileged area where Villa Harmony is located, makes it an idyllic place to enjoy nature, a nature that remains virgin, without agglomerations or tourist transformations. An entire experience that you will not forget. There is a place in the south of Spain, off the coast of Africa, in the Strait of Gibraltar, in the area called Costa de la Luz, which allows you to live the luxury vacation you so much desire. Let us list the reasons why we believe that you should decide to spend your next luxury vacation in Zahara de los Atunes, in our Villa Amaranta house. Another great reason is the location of the luxury home. In a very exclusive urbanization with all the security and prepared with what is needed to spend a luxury vacation. We refer to the urbanization Atlanterra, on the outskirts of Zahara de los Atunes. Atlanterra is a luxury tourist complex that extends along the slopes of the Cabo de Gracia and the mountain of the Sierra de la Plata. Although it belongs to the municipality of Tarifa is considered more of Zahara de los Atunes, since to enter it is necessary to pass through the town of Zahara. Many activities can be done: horseback riding, water sports courses, diving, not to mention the countless tourist excursions provided by an area full of natural parks and history’s secrets. From this blog we want to guide you to have all the information you need to get the most out of your luxury vacation in Zahara de los Atunes. 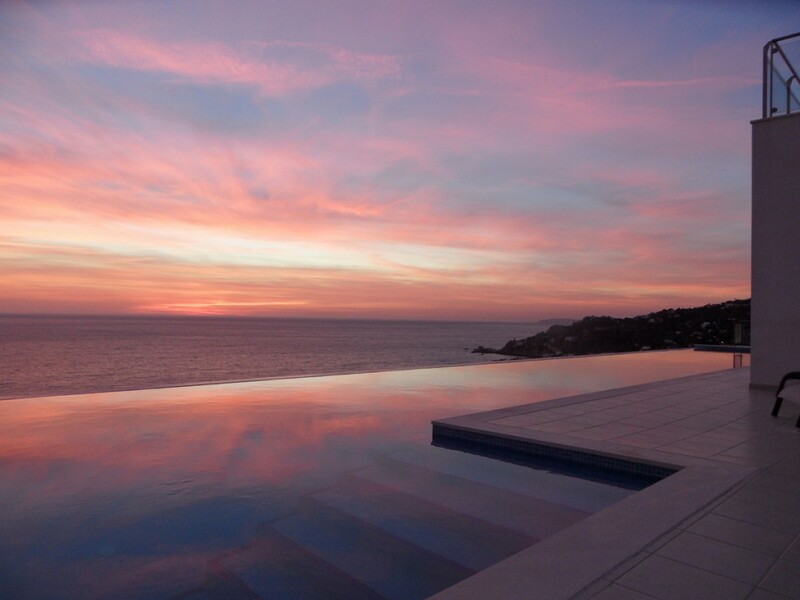 Being able to see every night as the sunset paints the sky at will from Villa Amaranta, is one of the most important reasons why to decide to come to rest and to live something unique to the Villa. Sunsets are known all over the world on the coast of light, which is why it is called that, but it is not easy to tell or even photograph it. What you feel alone can be lived if you experience it live, knowing that it only lasts a few minutes and that those minutes you are living personally. You know, although these photos are a sample of what awaits them, the reality is that they can only experience it if they come and enjoy it. We are waiting for you in this paradise built to spend the best luxury vacations that you deserve.